A key moment in the career of Gladys Knight & The Pips – and a record that opens the group up to a whole new sound for the 70s! When Gladys Knight started out as a raw R&B-ish singer in the early 60s, nobody would have expected her to have such staying power – and to become one of the 70s best interpreters of mellow ballads. 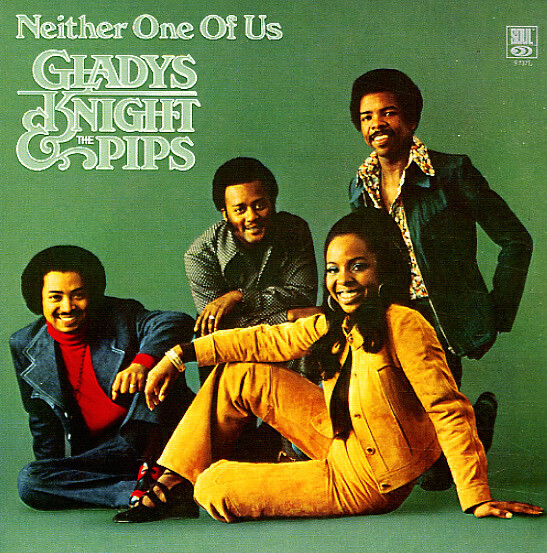 This album's more than proof that Knight had plenty of staying power, and the title hit "Neither One Of Us (Wants To Be The First To Say Goodbye)" went onto become one of the decade's biggest mellow soul tracks. It's backed up here by a number of nice tracks that have a harder soul sound, and which are arranged by some of Motown's best talents of the early 70s. Titles include "It's Gotta Be That Way", "This Child Needs Its Father", "And This Is Love", "Don't It Make You Feel Guilty", and a cover of "Who Is She To You". © 1996-2019, Dusty Groove, Inc.